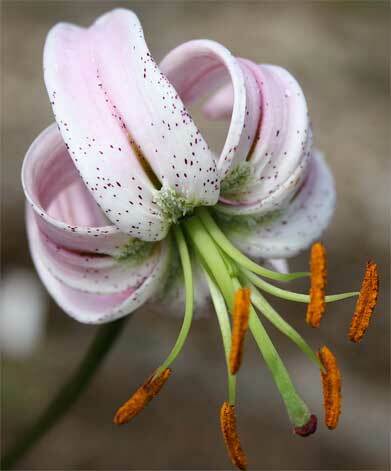 This lovely Asian lily produces 6-8 lovely delicate pale pink pagoda flowers on 80cm stems. It loves to run about in soft leafy soil appearing 30cm from where you had planted it. The ideal posiion is amoungst small shrubs or other plants where it can be left undisturbed and allowed to run about. 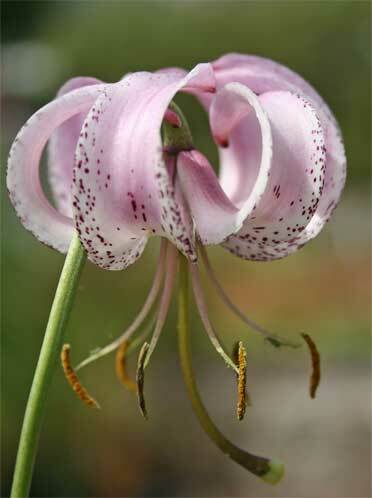 It quickly produces many flowering stems. Plant 10cm deep in well dug soil. It doesn't appear above ground until late May, flowering in July.